Patacones are one of my favourite Colombian snacks, second only to the arepa, of course! 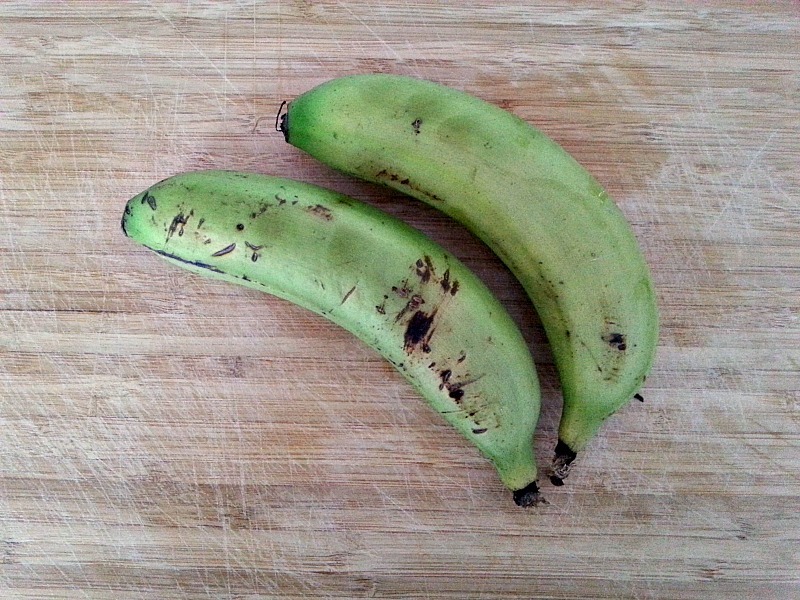 They’re made using large, under ripe plantains which are chopped into bite-sized pieces then fried, squashed with a stone or a plate, then fried again. 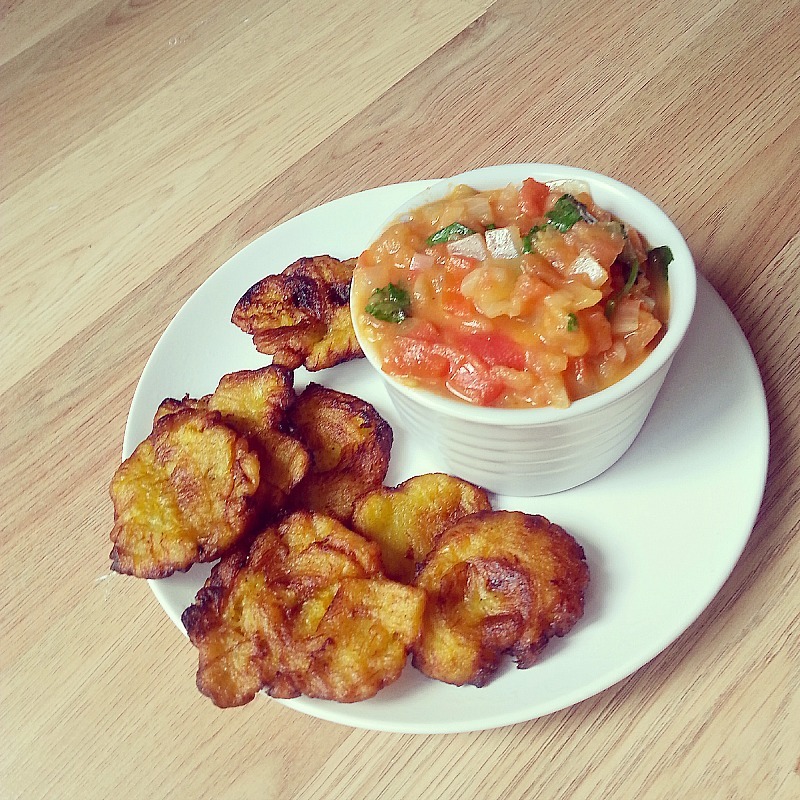 I pop the chopped and fried pieces of plantain into a plastic bag then squash it with a plate. The plastic bag stops the plantain from sticking to the plate and creating a big oily mess. 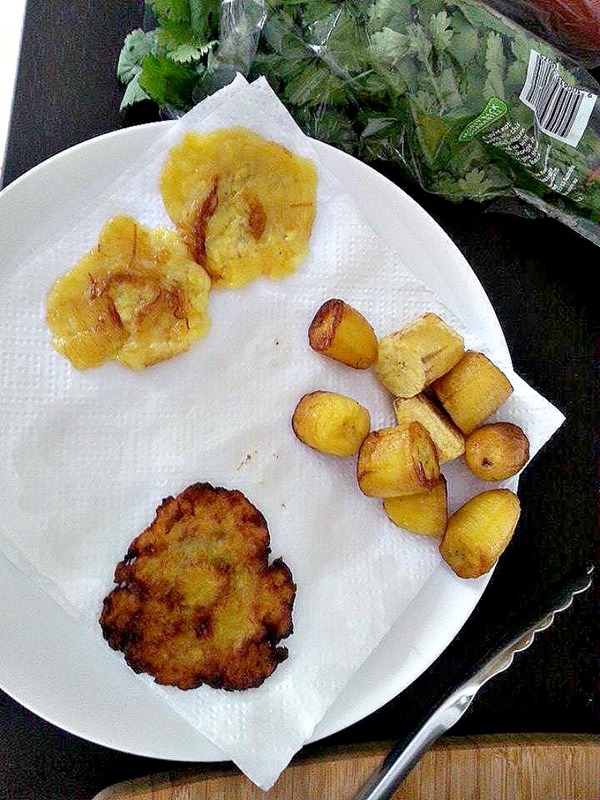 Fry the round plantain disks in some very hot oil, vegetable or extra virgin olive oil is fine, then you’re done. Too often Patacones are lumped into the same category as the humble arepa – bland, tasteless, boring. I scoff at the thought! They are a great side during dinner, but I prefer to have them as an entre or a snack with a tomato-based sauce, hogao, on top. Here’s a simple recipe for hogao. Give this one a try then let me know how you go. Buen provecho! Aw I miss patacones, this looks delicious! Looks so yummy. I am craving one now, thanks for reminding me of Patacones.